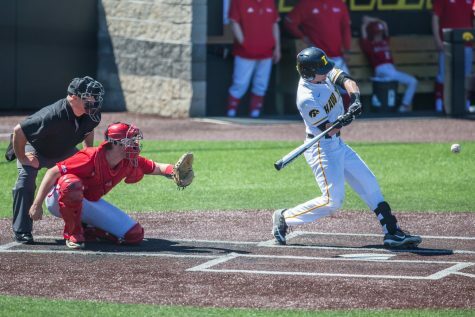 Iowa continued its strong spring season, beating Iowa State, DePaul, and Utah. 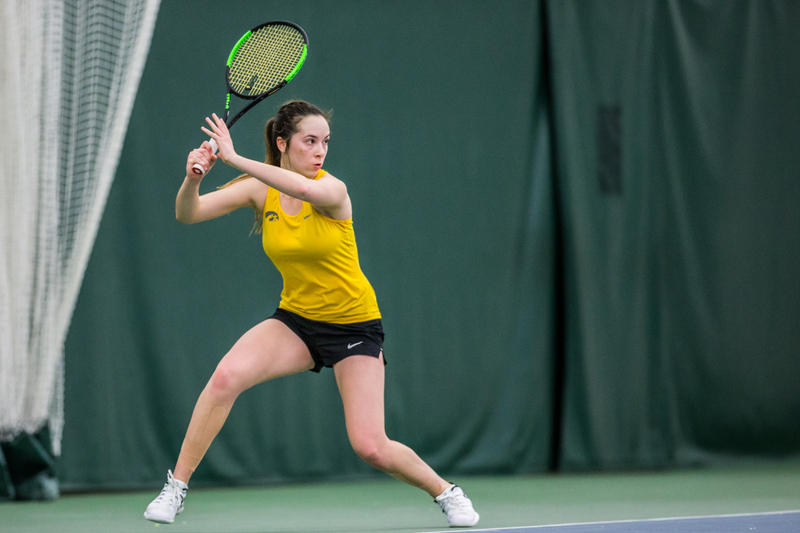 Iowa's Samantha Mannix hits a forehand during a women's tennis matchup between Iowa and Iowa State at the Hawkeye Tennis and Recreation Complex on Friday, February 8, 2019. The Hawkeyes dropped the doubles point but swept singles matches, defeating the Cyclones 4-1. 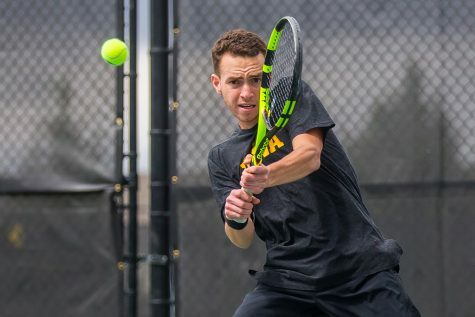 Both the Iowa men’s and the women’s tennis squads capped the weekend off with more dual match wins after having the last weekend off. The men’s team dropped its first match of the season against Miami before bouncing back to beat Utah. 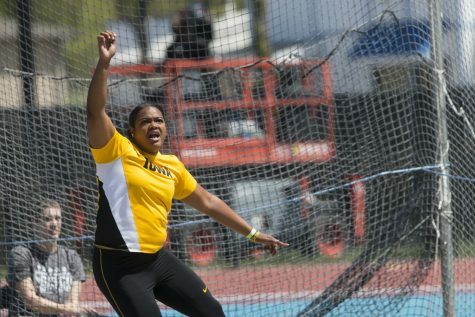 Meanwhile, the women’s team continued its perfect season (6-0), picking up wins against rival Iowa State and DePaul. After picking up four-straight doubles points in previous weeks, the women’s team dropped its first double point to the Cyclones in the 38th contest between them all-time on Friday. Only the pairing of Adorabol Huckleby and Elise van Heuvelen won on Court 2, which keeps their doubles record to a perfect 5-0 record. Despite dropping its double point and coming out slow, the Hawkeyes managed to fight back and come back to secure the win, 4-1, against Iowa State after a come-from-behind third-set victory by freshman Samantha Mannix. Head coach Ross Wilson talks with Piotr Smietana during the Men’s tennis match against University of Utah at the Hawkeye Tennis and Recreation Complex on Feb. 10, 2019. 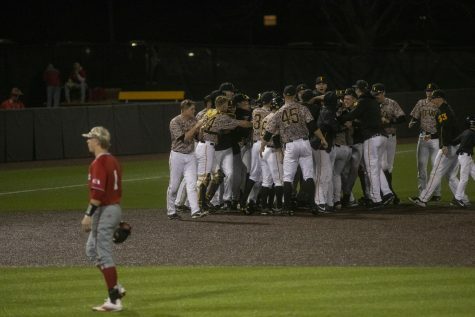 The Hawkeye team defeated Utah 5-2. 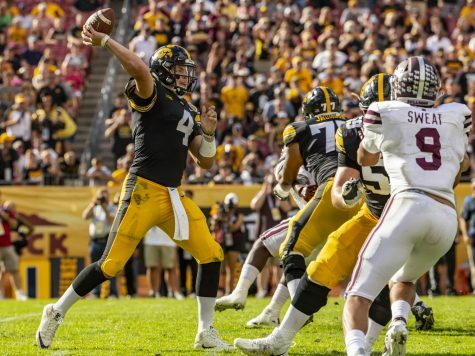 The win against the Cyclones puts Iowa 38-0 all-time in the Cy-Hawk series. 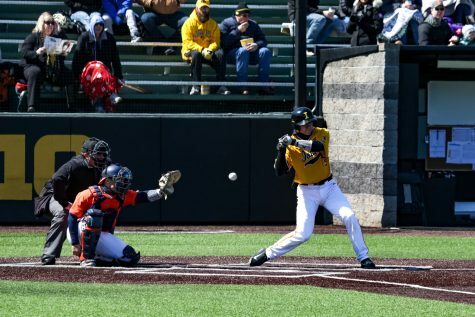 Iowa continued its momentum into Feb. 9’s matchup against DePaul where it only dropped one point to win, 6-1. 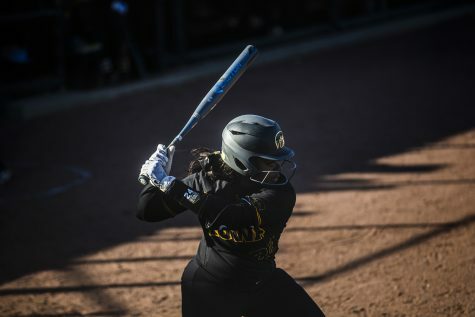 Freshman Michelle Bacalla picked up her first victory of the spring season, while freshman Sophie Clark continued her dominance, picking up her fifth consecutive win to start the spring season (5-0). The Hawkeye women will resume action next weekend in Milwaukee against Marquette on Feb. 17. 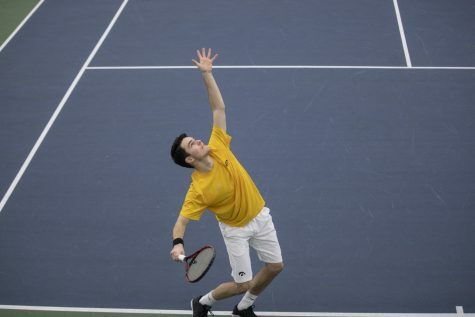 Also playing at home in the Hawkeye Tennis and Recreation Center, the men’s squad dropped its first doubles point before going on to lose its first dual match of the season, 4-1. In singles play, four of the six matches went to third-set tiebreakers. 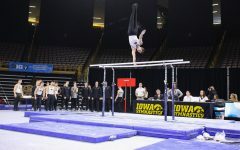 Freshman Oliver Okonkwo was the lone Hawkeye to snag a victory. The freshman won his match in straight sets, 6-2, 7-6. 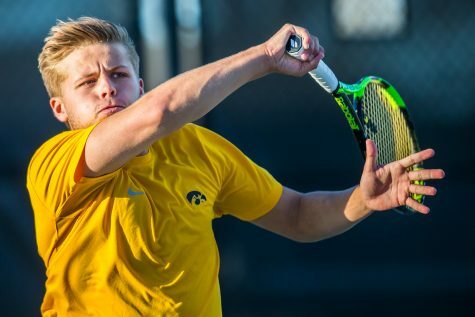 Jonas Larsen serves during the Men’s tennis match against University of Utah at the Hawkeye Tennis and Recreation Complex on Feb. 10, 2019. 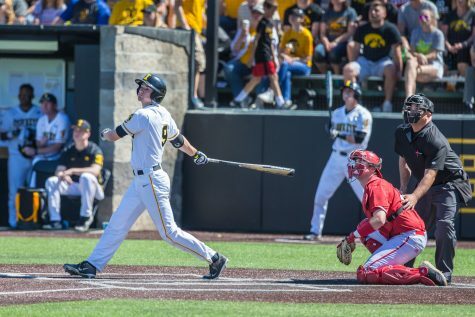 The Hawkeye team defeated Utah 5-2. Kareem Allaf pushed the 13th-ranked player in the country to a third set, but ultimately fell, 6-4,5-7, 3-6. 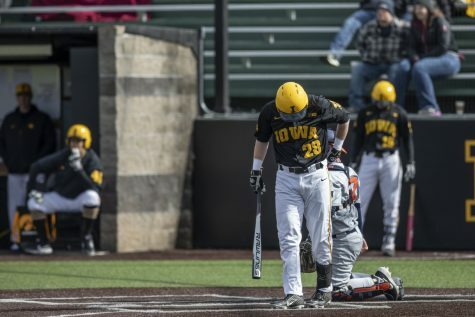 Nonetheless, Iowa bounced back, capturing the doubles point against Utah on Sunday and never looked back. 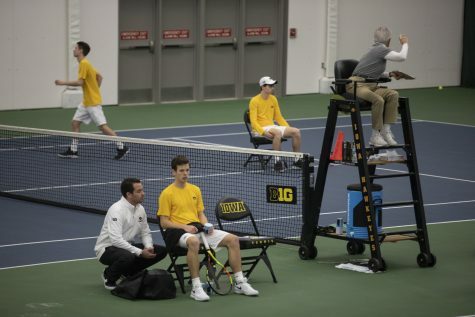 The Hawkeyes went on to win 5-2 against the Utes, picking up four wins in singles play. 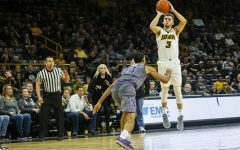 Iowa has played a strong schedule to begin its spring season, already playing against five teams that made the NCAA Tournament a year ago, including beating two conference champions in Western Michigan and Marquette. 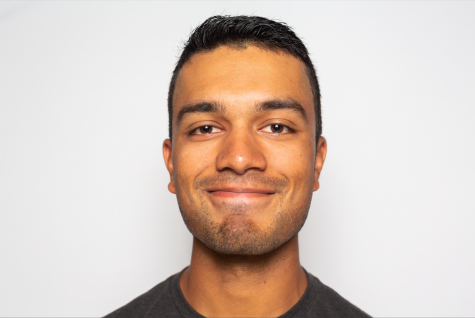 Cody Smith is a sports reporter at The Daily Iowan covering men’s and women’s tennis. 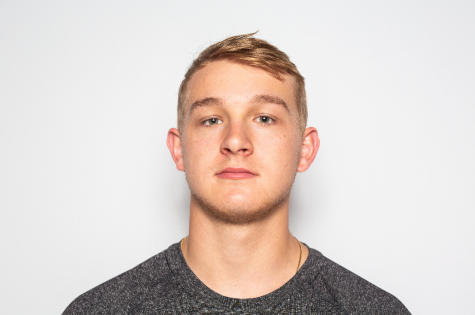 He is a senior at the UI.